Competing visions and expectations complicate China-US ties. They need to try and walk in each other’s shoes, argues Shen Dingli. 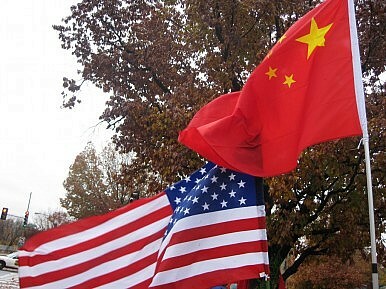 It has been ‘normal’ in recent decades for China-US relations to experience regular turbulence. Although the two countries have frequently collaborated on issues of common interest, they have also faced setbacks as they’ve tried to advance their own economic prosperity and national security. The key reason for the ups and downs in this complex relationship has been a combination of contradictory expectations and a lack of real trust. On the one hand, the two countries still hope that the other will act responsibly when it comes to the big decisions. And yet despite such hopes, they still seem destined to constantly hedge against each other, in both domestic and foreign policy. The fact that China and the United States have so often been forced to confront major crises in ties, despite efforts to create a relationship that isn’t constantly hijacked by individual events, has been damaging not only to bilateral relations but also to their own security and welfare. So what’s behind the trust deficit, and is there any chance for improvement? One fundamental reason for the periodic clashes is diverging values and interests, which means there are times when the two find it difficult to read each other’s intentions. Such differences have at times prevented them from developing common values and sharing core interests. For example, China has stressed its core national interests as being institutional security, economic development and territorial integrity. Among these, institutional security has been the most important, with serving the people supposedly its primary tenet. Indeed, from anti-feudalism to anti-imperialism, from anti-warlordism to anti-colonialism and anti-hegemonism, China has experienced some genuine changes. But they are also changes on a path toward change, and it’s possible that the United States simply does not recognize this particular platform of democracy. I hope that eventually, the American people will become more objective in judging the performance of the Chinese system (and that they’ll also better understand China’s criticisms of the United States’ own civil rights problems, such as racial discrimination, as an effort to encourage US advances in social reforms). As China develops and grows in confidence, its leaders should also find themselves better able to review foreign critiques, including from the United States. There is a Chinese saying: ‘Modesty helps one go forward, whereas conceit makes one lag behind.’ Through criticism and self-criticism, China and the United States are learning to treat each other more equally, and to respect the other’s institutions. Despite a strained year in 2010, there have been some encouraging signs of progress recently, underscored by the state visit to Washington last month by President Hu Jintao. But building on these improvements won’t be easy as the two countries explore the boundaries and compatibility of their ‘core interests.’ On the Chinese side, despite more international exchanges and greater cooperation being crucial to China’s continued growth, it also needs to consider how best to protect its nationals and overseas investments. With this in mind, it’s understandable why China feels inclined to build a more capable defensive capacity in order to protect its off-shore interests. But if China also wants to build trust with the United States, it would do well to explain its objectives and plans more clearly to avoid any misunderstandings and misjudgements. Correspondingly, China must also try to understand legitimate US desires–especially its long-stressed notion of freedom of navigation on the open seas. The United States has long monopolized the oceans, including in Asia, a reality that has prompted concerns among Chinese policymakers that the United States has been policing international waters merely for its own benefit. But with China growing rapidly economically, and with it being increasingly inclined to tap the ocean for its resources and access, freedom of navigation is becoming less of a US-led privilege, a shift that poses genuine challenges for the China-US relationship. The United States appears anxious, for example, about China’s intention over a number of its Exclusive Economic Zones (EEZs). The associated mutual suspicions, if uncontained, could deepen mistrust between the two. If China and the United States are going to tackle such mutual suspicions they will need to improve cooperation, and demonstrate more understanding and respect for the other’s goals. The US, for example, should respect the legitimate rights of China and other countries to access the high seas. China, for its part, may be obliged to reinterpret its use of its EEZs in accordance with the United Nations Convention on the Law of the Sea. If they can manage this, they will be able to guarantee genuinely open maritime access, something that is surely in everyone’s interests. A sign of the difficulties ahead, though, came last July at the ASEAN Regional Forum in Hanoi, when the two sides clashed over ‘core interests’ in the South China Sea. The US side seemed to assert that the South China Sea should be largely open to all, with no single country able to claim sovereignty over all of it—a clear reference to China’s historical claim. When the two sides are at odds like this, it does neither any good to be discussing ‘core’ interests and the implied exclusivity. It would be better for China, the United States and relevant ASEAN members to try to reconcile their positions by creating a regime that facilitates free access to the South China Sea for all parties, while retaining China’s privileges in tapping the area for economic purposes. Encouragingly, the Joint Statement released last month after the Hu-Obama meeting appeared to narrow the differences between the two sides by emphasizing their ‘mutual respect and interests’ in lieu of the ‘core interests’ of any single state. This smart move, if it can be built upon, should help boost trust. Sino-US relations are still constantly developing and it’s true that a single successful state visit won’t sweep away their various differences. Still, as long as China and the United States can work to genuinely place themselves in the other’s shoes, they have a good chance of minimizing the potential for conflict and of building lasting trust. Shen Dingli is director of the Center for American Studies at Fudan University. China has made dramatic economic progress during the last five years, weathering the global financial crisis and becoming the world’s largest exporter and second largest economy, surpassing Japan. China’s Highly Unequal EconomyThe Return of Smile DiplomacyGeorge Orwell’s China?Avoiding US-China Military RivalryIs Bismarck China’s Man?